Welcome to Digital Digest! We have a lot of "Blu" news this week, along with a review of Mighty Morphin Power Rangers - Season 2, Volume 2. Let's get started! The "greatest" news this week is blue... with an announcement from CBS this week regarding The Honeymooners coming to Blu-ray. Unbelievably, it has almost a decade since CBS released The Honeymooners - Classic 39 Episodes on DVD, and that was an improvement upon what Fox had released in 1996 with their VHS set of the complete series. Now, CBS moves one step further with The Honeymooners - Classic 39 Episodes on Blu-ray. Amazon.com gives a list price of $107.99, but we're not quite sure that is correct. 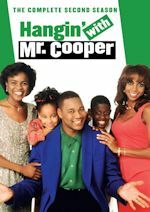 Another piece of Blu-ray news came in on TVShowsOnDVD.com on Friday, but this one seems a little odd. Apparently, Dennis Haskins stated on Twitter recorded some special features for some Saved by the Bell Blu-rays that are (according to him) in the works. It seems a little unusual that the series would be released in the format (it wasn't exactly a high production quality series), but it is important to keep in mind that Lionsgate (the studio that originally released the DVDs of the series) has been pretty big on releasing Blu-ray releases for a lot of newer series. When and if we hear more, we'll let you know! CBS is offering some new (well, old) streaming series online this summer for free. As part of Second Look on CBS.com, you can now enjoy the entire run (as short as they were) of Jericho, Swingtown, and Wolf Lake. All of these aired on CBS for a season (or two in the case of Jericho), and were quickly canceled. But now, you can enjoy them all from beginning to end online. Tuesday (July 30) is another slow day for releases, but Shout! Factory has Angry Beavers - The Complete Series for those interested in that series. Back to the Command Center we go! Following its debut in 1993 (hence why the MSRP is $19.93! ), Saban's iconic live-action pop culture series, Power Rangers quickly became the most watched children's television program in North America and Shout! Factory is releasing each season in two volumes each on DVD. We are now into second half of season two and we have the remaining 26 episodes from that season. In season two, tired of Rita Repulsa's failure to dominate the Earth her boss Lord Zedd steps in to take matters into his own hands. Determined to rid the universe of the Power Rangers once and for all Zedd has at his disposal an entire arsenal of monsters created with his own personal touch and inspired by Earthly plants and animals. To battle this new villain who is twice the evil tyrant Rita was the Power Rangers are imbued with new and greater powers along with new Zords modeled after mythological creatures - the Thunderzords. The Power Rangers are joined by new friends and new Rangers including the powerful White Ranger a ferocious hero armed with Saba the talking sword and the mighty White Tigerzord. 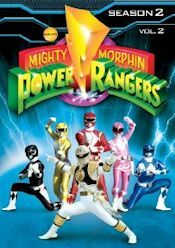 Mighty Morphin Power Rangers: Season Three 4-DVD set is was released on July 2, 2013 and that wasn't released in two volumes, since the episode count was much less in season three. We hope to have a review of that very soon. Starring Steve Cardenas as Rocky the Red Ranger, Johnny Yong Bosch as Adam the Black Ranger, Amy Jo Johnson as Kimberly the Pink Ranger, Karan Ashley as Aisha the Yellow Ranger, David Yost as Billy the Blue Ranger and Jason David Frank as Tommy the Green Ranger. Among the most memorable episodes from the second half of the second season include the two-part episode, "The Power Transfer," where Jason, Trini, and Zack have been chosen as the three teens from Angel Grove to attend the World Teen Peace Summit in Switzerland. In part two, Rocky, Adam, and Aisha manage to free themselves and destroy the Putties and the sleeping device. In "Lights, Camera, Action," The Power Rangers take the special message of the power of education to the airwaves, but Zedd tries to stop the show by changing a TV camera into the evil Showbiz Monster. In "Forever Friends," Goldar kidnaps Kimberly and Aisha's best friend Shawna,. while our heroes plan to rescue their friends, Zedd sends the Jaws of Destruction to battle them. In the two-part episode, "Rangers Back in Time," Lord Zedd casts a spell that turns back the hands of time and turns the Power Rangers into kids and then unleashes the Photomare monster that traps them in a photograph. In "Blue Ranger Gone Bad," Billy makes a special project for art class as this catches the eye of one of his female classmates, Violet, who makes a perfect likeness of Billy, while Rita casts a spell on it to make it real to take his place while the others are preoccupied by the Putties. In the two-part season finale, "Wild West Rangers," The Rangers teleport to the Command Center, but Kimberly ends up going through a time hole. Packaging is a snap case holding the discs inside, similar to the previous releases. The cover art of this first volume has all of the Power Rangers (Black, Yellow, Red, Pink, Blue and...White) with the Mighty Morphin Power Rangers logo above them. The color scheme is blue for this volume. The back of the case has a synopsis of the show, the set, and technical information. We also have a shot of Lord Zedd and another one of the White & Pink Rangers, similar to volume one. Inside the case, there is a disc-by-disc breakdown on the left panel, listing every episode on this set. The background is in blue. We just get episode titles, though. The discs don't overlap each other, which is great. We have a plastic holder in the middle. Discs four (the number is continued from volume one) and five are on that plastic holder, while disc six is on the right panel itself. Artwork on the discs is in that blue color scheme, with the Mighty Morphin Power Rangers logo and whatever disc number it is on the disc. This is all similar to previous releases. The disc-by-disc breakdown is available in the above section in episode runtimes, but basically we have about 8-9 episodes on each disc. That might be a lot per disc, but I feel they should have released all 52 second season episodes on one set on a six-disc set, since they are cramming about 9 episodes on each disc. As for the menus, the main menu is very cool and similarly designed to previous sets. 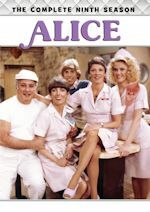 It is identical to season two, volume one. We have the addicting theme song playing in the background, and we have the logo then we enter the Command Center! Instead of where we see Zordon, we have clips playing in the background! Very cool! The main menu options are: Play All and Select Episode. No subtitles, but the DVD is closed-captioned. When we select the Select Episode option, we have a cool transition into that submenu with the alarm sound for the command center playing in the background. The episode number and titles are listed inside that option. Pretty easy to navigate and nicely designed, I think. It's basic but cool. The video quality is decent and on par with the previous season sets. It's not great, but not terrible either. It is certainly better than VHS and any episode you might have recorded originally on Fox Kids or in reruns. The audio quality is also good, that is crisp and clear. No problems here at all once again. The series had to be pretty cheap to produce as it looks very cheap, but hey, everyone loved watching it! There are once again 6 chapter stops for every episode, counting the opening and closing credits stops. All of the multiple part episodes have the "To Be Continued" line at the end of each episode, but once again we don't have any of those "Previously on Power Rangers" recap at the start of the next episode, just like we don't have the "Today on Power Rangers" preview on every other episode. I always liked those, so I'm disappointed. We have zero special features once again. 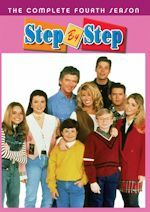 The complete seasons 1-3 release has special features from Time Life. I hope we get them eventually on the individual releases that Shout! releases, too, but I doubt it. But so far, we haven't gotten any from Shout! On the complete set, as mentioned before, we get new interviews with the cast, casting director, fans, plus all the direct to video specials that were released. I don't think the original pilot episodes is included, which is a shame. 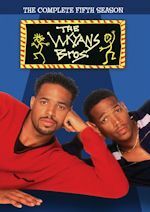 In 1999, Fox Kids aired an original unaired pilot episode hosted by Austin St. John (Jason the Red Ranger) and Walter Emanuel Jones (Zack the Black Ranger). It is on YouTube even, as we mentioned last time. This pilot had a different yellow ranger and some other plot changes. We also had another unaired pilot episode but it has never been seen, so that would have been nice, too. It's great Shout! is releasing these original seasons quickly. The third season is already out but we haven't gotten it yet. The second season was very cool with a lot of changes and the second half of the season shows that. I think I like the second season episodes the best, but the first half I thought was a bit better. I highly do recommend any fan of the show to pick-up this set, because the episodes are so good and addictive. It's cheesy fun. If you've never watched it, then please do try it, especially if you watch the new series. The only thing missing are the previews before each episode, but that's not a big deal. Everything else is pretty well done on this set. My only other gripe again was no bonus features, but that is probably exclusive for the complete series set from Time Life. I hope we do get those on a regular season volume later on. Anyway, it's Morphin Time with new Red, Black and Yellow rangers...and no need for us to go to the Command Center and buy this DVD because we have a link below for you to order. Hurry before Lord Zedd chokes you so hard that you'll start seeing Red, Black Green/White, Yellow, Pink, and Blue. Who to Follow: Dennis Haskins (Twitter), "Still chasing the dream!" Claim to Fame: Haskins literally skyrocketed to fame (and kept riding that fame) with one role: his role as Principal Richard Belding on the classic teen sitcom Saved by the Bell. While he has had other minor roles in movies and TV series, this is the role that he will always be remembered for (and it doesn't seem to bother him a bit). Why You Should Follow Him: We mentioned Haskins in our news today, and to be honest, it never dawned on us that he would have a Twitter account... but nonetheless, thanks to TVShowsOnDVD.com's news, we know that he in fact does and is still very much out there. He certainly still seems to connect to his Saved by the Bell past, even using the Twitter handle @mrbelding. In fact, he even has his own karaoke album if you're interested in that... with school themed tunes. In any event, we're glad to see that he takes his role as principal of Bayside High as seriously in real life as he did on the show, and is still (as he says in his tagline" "chasing the dream!"